Miriam F. Clark has practiced labor and employment law for more than 25 years, and has handled dozens of employment-related cases in federal and state courts, arbitration agencies and before federal and state administrative agencies. She negotiates severance agreements and employment contracts, and counsels employees on a variety of employment-related legal issues. She also provides independent investigation and mediation services in connection with complaints of discrimination and/or harassment and serves as a voluntary, court-appointed mediator for the United States District Court for the Southern District of New York. She advises non-profit organizations on employment-related issues. 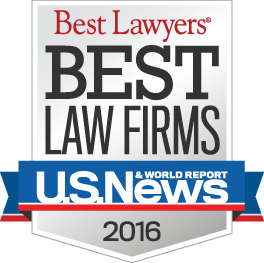 Since 2005 she has been listed in The Best Lawyers in America, and Super Lawyers. She has received an AV Preeminent Rating from Martindale Hubbell, a “Superb” rating from Avvo, and is a member of the Bar Registry of Preeminent Women Lawyers. Ms. Clark has lectured widely on employment law and related topics at the American Law Institute, Georgetown University Law Center, the American Bar Association Section on Labor and Employment Law, the New York State Bar Association, the New York City Bar Association, Practicing Law Institute and to classes at the New York University School of Law. She serves as a pro bono mediator for the United States District Court for the Southern District of New York. She serves as Vice President and President-elect of the National Employment Lawyers Association’s New York Chapter. Since 2006, she has served as Chapter Editor for the Annual Supplement to Family and Medical Leave Act (ABA Section on Labor and Employment Law/BNA Books). 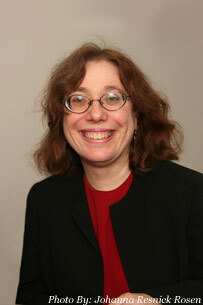 Ms. Clark is a 1984 graduate of New York University School of Law, where she was a Root-Tilden-Snow Scholar. From 1984-1985, she served as law clerk for Hon. Max Rosenn, of the United States Court of Appeals for the Third Circuit. She is a 1980 graduate of Harvard College and is admitted to practice in the state and federal courts of the state of New York, the Second Circuit and the United States Supreme Court. Niesig v. Team I, 76 N.Y.2d 363 (N.Y. 1990) (Representing Amici).